For more than two decades, Robin Strickler has been a driving force in interior design, helping to shape – stylishly – the way we live in Southern California. 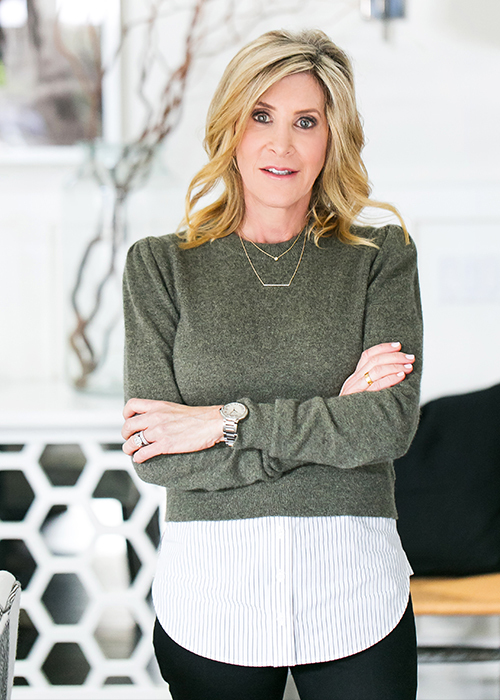 Today, she continues to helm Design Works, the Orange County-based interior design firm she founded in 1991, and is known for her of-the-moment yet timeless approach to design. Strickler’s affinity for beautiful things has roots in her childhood (she reports that her dolls, and mother, were dressed impeccably, thanks to her artful eye). Not surprisingly, she first studied fashion, merchandising and design in San Diego, then launched a successful career in the fashion industry, creating fresh, unique looks with an innovative interplay of colors and textures. While her love for fashion never waned, Strickler found herself seeking a new design challenge, wanting to bring her talent for fusing elegance, serenity, symmetry and understated design to a new arena. Interior design provided the perfect palette for her artistry, and she began her studies at the Interior Design Institute in Newport Beach. With her interior design training complete, Strickler quickly forged a name as a model home designer for noted developers throughout the region, who relied on her ability to create interiors with an instant sense of place, a tone of warm welcome, and a casually elegant livability. She soon formed Design Works to provide her sought-after services to builders and architects, as well as to individual clients who resonated with her talent for transforming both residential and commercial spaces with her timeless approach blending monochromatic room “canvases” with pops of color and varied textures. At Design Works, Strickler remains head of design, working with several hand-selected designers to create stunning interiors for high-end residences, corporate projects and commercial spaces throughout the country. Whether she’s working on a traditional, Hamptons-inspired home on the coast, a modern masterpiece for an art collector in Malibu, or a swank Hollywood Regency style estate in Bel-Air, Strickler’s unerring sense of style is evident. Her work can be found in such publications as Elle Decor, California Homes, Luxe Magazine, Interiors CA, and more. When she’s not designing inspiring interiors, you can find this design doyenne staying active running, spinning and hiking, spending time with her husband and two daughters and, of course, shopping for pieces from fashion’s latest collections. A typical day in the life for Keighley Botterill, Design Associate at Design Works, ranges from creative and technical design work – including using AutoCAD to design an interior space – to choosing complementary textiles and furnishings for a client to bring their personal vision to fruition. In truth, no day is “typical,” and that’s what Keighley loves most about her job. 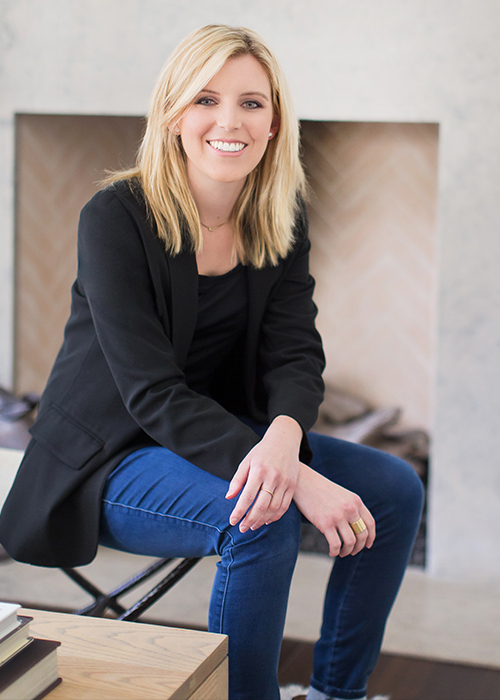 Keighley holds her Bachelor of Arts Degree in Interior Design from the Interior Designers Institute (IDI) in Newport Beach, California, and prior to IDI, attended the University of Oregon. She also has studied graphic design, ceramics, sewing, photography, architecture, and drawing – bringing a wide range of talents and skill sets to the team at Design Works. Keighley’s design style is eclectic – best described as timeless, functional design but with a twist. She believes in incorporating meaningful, personalized pieces into a home’s interior to express a client’s personality and lifestyle. Her travels to Namibia, Spain, and South Africa have greatly influenced her sense of design, and she strongly believes that interior design can have a positive effect on a person’s quality of life. Whether it is a new build in San Clemente or renovating a family home in Long Beach, each client brings personal desires and needs to their projects, and Keighley thoroughly enjoys working collaboratively with clients who are open to new ideas and perspectives. When Keighley is not working to help create individualized, meaningful projects for Design Works clients, you can find her working as a teaching assistant at the Interior Designers Institute and mentoring design students. She also enjoys staying inspired through traveling, as well as hiking and snowboarding. Katie Gatti has always been interested in design, even as a young girl making dollhouses out of shoe boxes and old fabrics she’d find around the house. 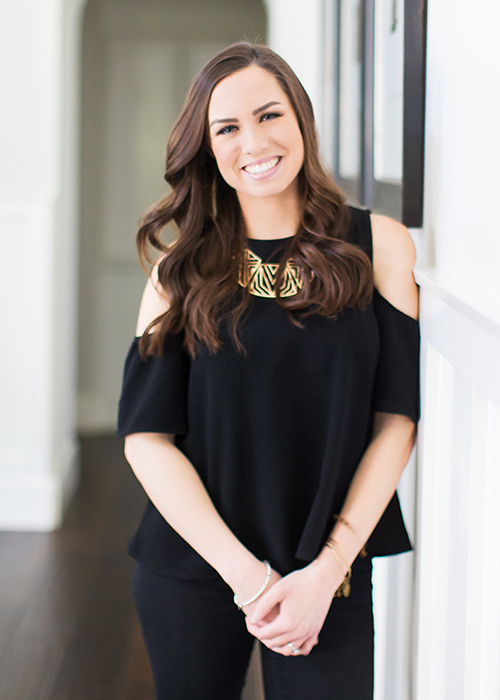 Today, she serves as a design associate at Design Works, and brings her love of working with clients to turn a blank space into a home they’ll love forever with different textures, materials and timeless style. 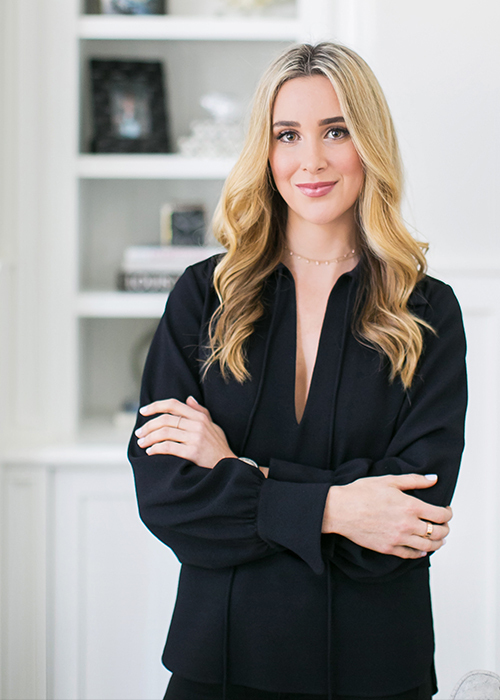 Katie graduated from the University of Southern California with a BFA in Fine Arts, and then went on to graduate from Interior Designers Institute (IDI) with an Associate of Arts degree in Interior Design. After school, Katie worked at a well-known interior design showroom in Orange County for four years prior to starting at Design Works. Her intrigue of designing spaces in her head and re-envisioning how she could change them for the better has lead Katie to a job she loves where she can space plan and find solutions for her discerning clients. Influenced and inspired by travels to San Francisco and Barcelona, Katie’s style is more on the contemporary and modern side, best described as edgy with an organic and inviting influence. When Katie is not working, she’s spending time with family, friends and her new Australian Shephard puppy. Terra Singer has grown up watching her mom, founder of Design Works Robin Strickler, create beautiful and impeccable homes for clients over the past 25 years. Now she is following in her mother’s footsteps serving as Design Associate for Design Works. With a background in the luxury fashion industry, working for such brands as Chloe, Lanvin, and Kate Spade, Terra now brings her love for all things luxurious and beautiful – and her expertise in identifying and interpreting trends – to interior design. Terra’s interior design aesthetic can best be described as simple and classic, with a modern twist. Inspired by her travels to Paris over the years, her designs will most always mix European vintage pieces with contemporary finishes. In addition to creating homes her clients will love for a lifetime, Terra also enjoys spending time with family and friends, as well as traveling, hiking and researching the latest fashion and interior design trends.